NEXCOM invites you to save the dates and visit us at booth B100-1 at Taiwan Pavilion in IFSEC London 2018, from June 19-21 to get a sneak preview of our latest offerings. 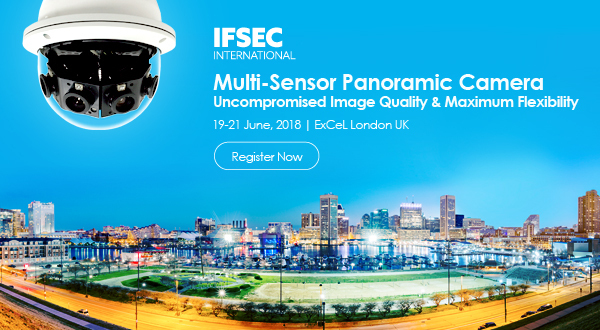 This year, we have Multi-sensor Panoramic Camera with remarkably high resolution of 20MP/ 8MP at 180° coverage that not only give more details in much better quality than single sensor solutions, it also give operators the flexibility to adjust each camera module to create ideal coverage and image characteristics that perfectly fit into large installations such as warehouse, parking lot, mall, stadium and airports. The implementation of seamless stitching technology allow slight overlap, minimizing gaps in panoramic image rendered and IR to enhance overall performance in low light environment and night time use. Welcome to contact us for making an appointment in advance and more product information. We look forward to seeing you at Booth B100-1 in London.